Jay Manalo says he does not encourage his kids to enter showbiz. Actor Jay Manalo is back on the big screen with the movie Higanti co-starring actress Assunta de Rossi. During the movie’s press conference, Jay said that his family life has changed a lot. The actor said that he has 11 children with six different women. His eldest kids—a boy and a girl, are both 24 years old now. Jay also shared that one of his children has asked for his permission to enter show business. “Sabi ko, ‘Anak, pwede bang ipagawa mo muna sa akin ang obligasyon ko sa ’yo?’ Once na nagawa ko na ‘yun, okay na, bibigyan na kita ng go-signal,’” he said, adding that he does not encourage them to follow his career path as he does not want them to experience what he went through in showbiz. 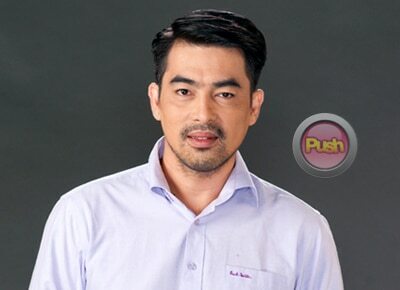 Jay is now happily married to his non-showbiz wife with whom he has four kids.